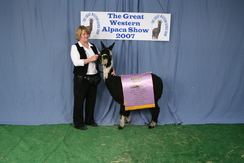 Sirius is considered one of the top suri herd sires in the country and the only black suri to win a National Championship 2 years consecutively. He is a full Peruvian Macgyver son and described by so many who have seen him as “the most incredible black suri I have seen”, true ink black, dense, lustrous, and with locks completely independent at the skin. 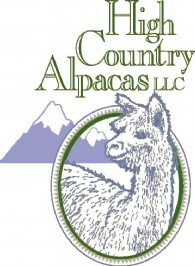 As a juvenal, he won 1st and champion at the level 5 Great Western alpaca Show in Denver, 1st place at the Futurity, and 1st and reserve champion at AOBA National Conference. Feb. 2006 he won 1st place and Color Champion in Fort Worth Texas. He won 1st at the IAO in CA and on April 1st, won 1st and Color Champion in Puyallup, WA. He won 1st and Reserve-Color Champion at the Futurity, 1st and Color Champion at MAPACA and 1st and Color Champion at PAOBA. Sirius finished his show season by winning 1st and National Black Color Champion in Kentucky at the AOBA National Conference. 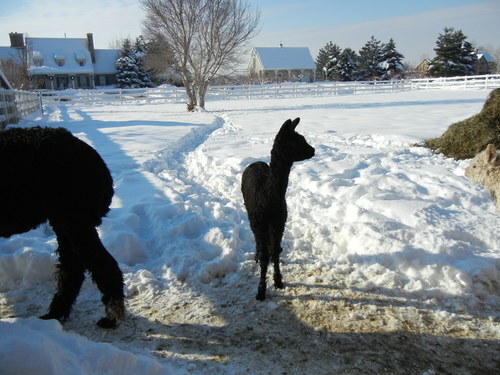 His Dam, Peruvian Starlette, has produced 7 champion offspring including Sirius’s full siblings, Celestina, Synergy, and Macgyverson. His sire, Macgyver has won “Herd Sire Of The Year” 7 years in a row. 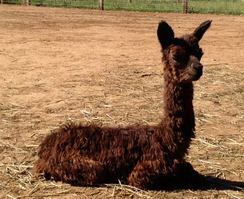 Sirius’s cria are truly impressive and winning championship after championship. They are following after their Sire and Grandsire. Sirius, you are truly incredible. 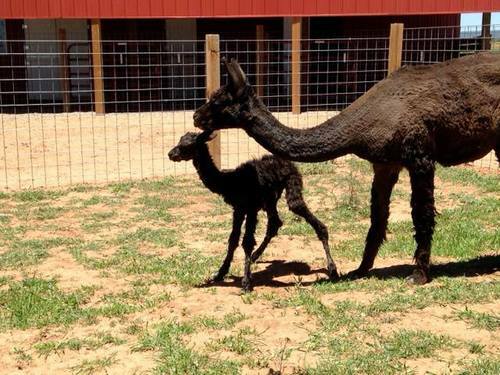 Captain's Black Lace is a knockout Suri! With a beautiful V-Neck collar and three white socks, this ink-black beauty's fiber has incredible luster with a very greasy feel ... and she produces that luster and more! In 2016 she produced 5 pounds of fiber. She is a real looker with killer markings. Captain's Black Lace should really appeal to someone looking for the quality she brings to the table. Lacey's solid blanket is true black with shiny luster, and she has a perfect bite. 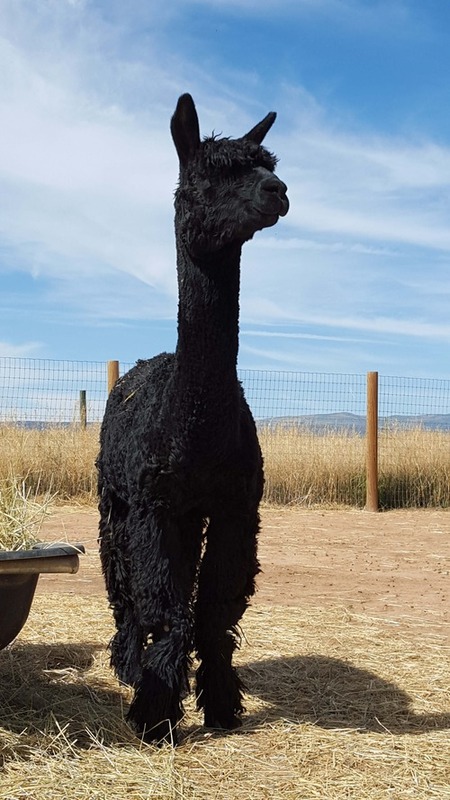 True Black suri alpaca from Tip to Toe. 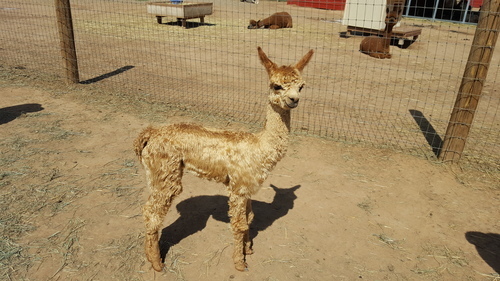 In his first debu in Loveland, Colorado, Phantom's Judge said he had beautiful even locks, a well balanced frame and topline, and his fine fiber shines. 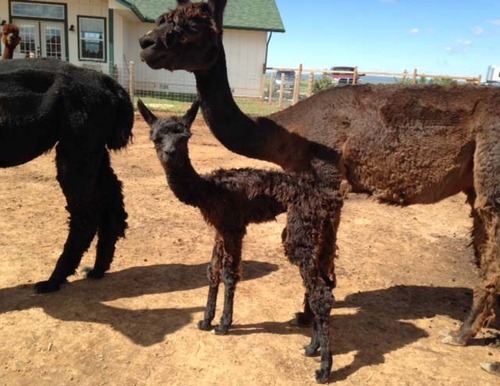 HCA Sirius Black Phantom produced four cria in 2015. Their EPDs will be out soon.